Waynestock, and unofficial SXSW party presented by Rawkblog and TwentyFourBit, will take place Thursday, March 17 at noon at The Liberty in downtown Austin. 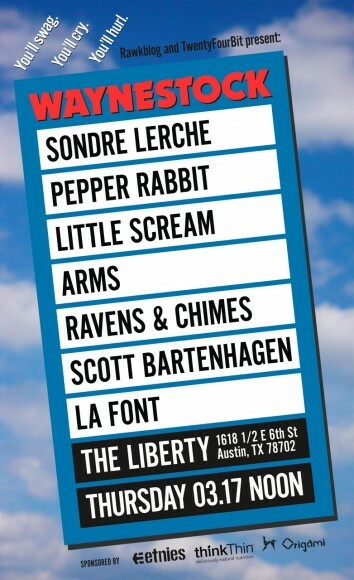 Featured acts include Little Scream and Pepper Rabbit. You can RSVP for the event over at its Facebook page.